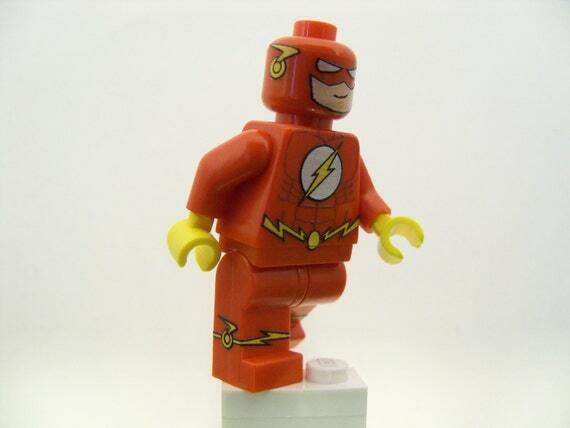 We just introduced our first custom minifigure! The Flash is machine printed, and very limited quantity! Check out our Etsy Shop for buy it now, or you can check out our ebay listing! Thanks man! The design went through tons of changes before I was satisfied with it, but I really like the final outcome! Hah, Nice to know SMU is activly promoting it before his even was shipped! I'll post the review vid he makes when he gets it. How much to buy one of these outright on here? I'm selling them for $30 in the Etsy shop, and the auction is at $20.50 with 3 days to go and 7 bids. I'll sell one one to anyone here on brickset for... $22 ($2 shipping). Thanks "teal93mr2" and "tcleong" for your purchases! We couldn't do this without you, the customer! Shipping is $3 dollars inside of the US and $6 internationally. I would edit the post up top but I don't know how to edit posts... anyway. Guys these are selling fast so I'm going to let the coupon run until Thursday March 28, 12:01 am eastern pacific time zone. After that the figure will be full price, save $8 off your total bill and order now! Thanks everyone who has bought one and anyone who plans to. There is also a contest on our facebook page to win a free one, so check that out too! This fig is awesome!! Ordered one! Thank you, you sir are the man! Ordered first thing this morning. Can't wait to see it in the "flesh"! Shipped my friend, and enjoy! Thanks for the order! HAHA Didn't even notice the pun until you said that. Don't worry, it looks better in the "flesh". just ordered one,i usually don't buy custom figs....but this is awesome!!! Thanks bro! You guys are great, thanks for buying everyone! I usually hate customs, but I won't lie, this is a very nice piece. 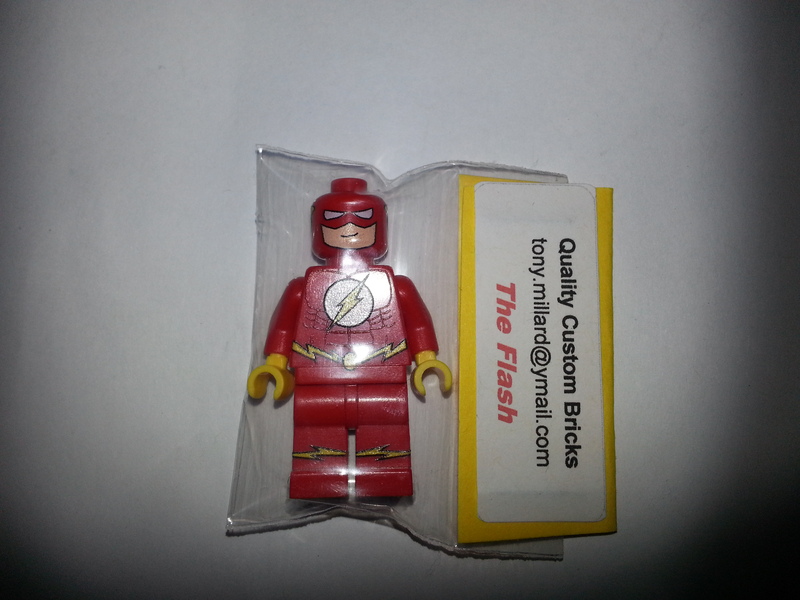 Well done @TonysBrickVault, you've done a very good job of re-creating Flash as a LEGO minifigure! He is on the list! I wanted to do Black Flash next. Green lantern would be easy, especially since there is already one out there. A nice challenge would be hawkman! Black Flash does look cool, but is likely to be little-known by your potential customers. Of course, there are those (me!) who will buy him for superhero-collecton purposes anyway...and of course it's your choice, ultimately. If you want to do a Flash villain, however, have you considered Professor Zoom, The Reverse-Flash? I think it'd be awesome to get a Marvel character out there, like Cyclops. Whatever you choose I'm excited to see what comes next! And excited to get my Flash in the mail! I think you guys will like what I have in store. I have a design ready and it won't be long. Update: Guys, only one day left to use the coupon, get him now before you have to pay full price! Hah thanks for that pic! Got my Custom Flash today! The figure is magnificent!!! Will certain order more in the future! Thank you for ordering! Your support is very much appreciated! PLEASE WATCH THE REVIEW BY SMU TOYS! 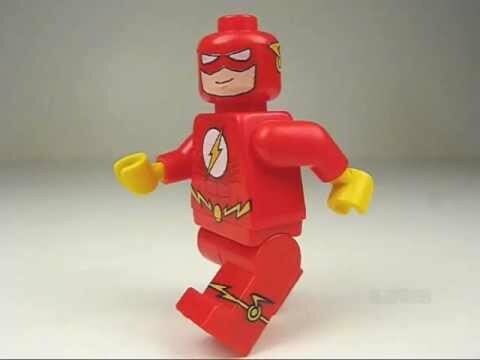 The Flash is here! Quantities are limited so don't miss your chance to own the very first in our collectible custom minifig series. The designs are machine printed, and this custom contains NO decals, paint or stickers. This figure is suitable for collecting and rough play! Flash arrived today quality is excellent!!! and i normally hate custom figs,great job. thanks man black flash will be available on the 25th!